Showcasing the individualistic freedom of surrealist artist Ciro Marchetti, these jigsaws create spectacular images to challenge the most seasoned puzzle lovers. A sharp eye is needed for this detail orientated puzzle. 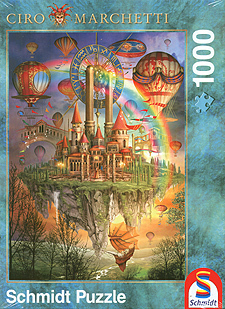 High quality 1000pc Jigsaw with artwork by Ciro Marchetti.